Choose your style, customise, launch from only R999/year ! No monthly fees. 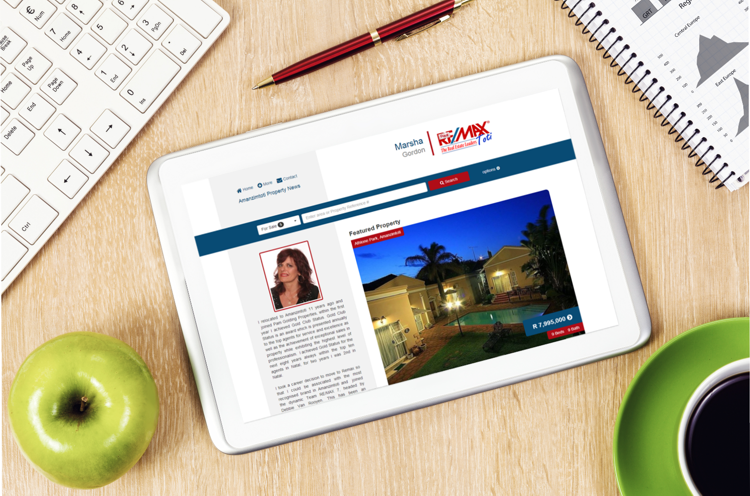 A professional personal website designed specifically for real estate agents. With its responsive technology, your website will display perfectly on all screen sizes and devices including tablets and mobile phones. Once a base theme is selected, it can be customised further with your corporate identity including logo & colours. Expand the theme with custom banners, special feature, your own content & menu setup. 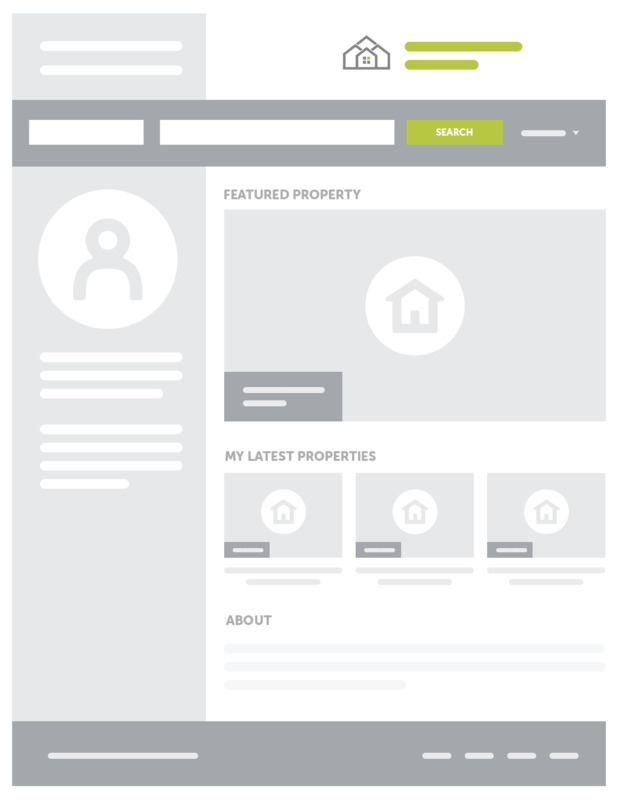 It’s never been easier and more cost effective to have a personal estate agent website. Professional layout that is branded with your name, office logo and colours. Setup normally within 1 business day. 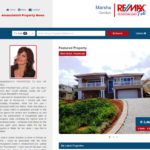 Your profile prominently displayed on the home page with place to include information about your area or services. Large main auto rotating featured property, with more & smaller latest properties. All the Flex features including responsive design that adapts your website to any device & screen size. Works from any OMS package, including the FREE option! How do I get my property listings on my Flex website? 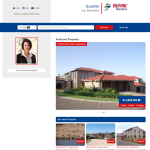 Property listings are automatically synced from your OMS account, usually within a few minutes. Can I use the free Startup OMS package with Flex? Yes, you can use the free OMS startup package and only pay the yearly website renewal fee. Do I get FTP access to my website? No, Flex is a product and we do not provide FTP access to your website. Customisation options can be ordered at any time and are paid upfront. Where there are monthly fees (e.g. alerts, these are paid 12 months in advance). You will receive a yearly invoice for your website (including any additional options you’ve opted for). Setup additional content pages for your website. Includes high quality images. Links to these pages can be inserted into your menu or your home page. Integrate an existing Google Adwords account into your website. Configured so you can track ROI on property enquiries. Or we can setup an Adwords package for you. Register or Transfer a domain and link it to your website. Link additional existing domains to your website. Allow visitors to configure and sign up for automated property email alerts. Unlimited subscribers. Emails are branded with your company logo.